Nickel Creek On Mountain Stage Mountain Stage reaches into its vault for this 2005 performance by the now-defunct bluegrass band. Nickel Creek performs on Mountain Stage. Nickel Creek was perhaps the best-known acoustic music group of the late '90s and early 2000s. The band formed in 1989 in Carlsbad, Calif., when its three principal members — Chris Thile and siblings Sean and Sara Watkins — were still children. Together, they released six albums before parting ways in 2007, by which time they were widely credited with introducing a younger generation to the sounds of bluegrass. 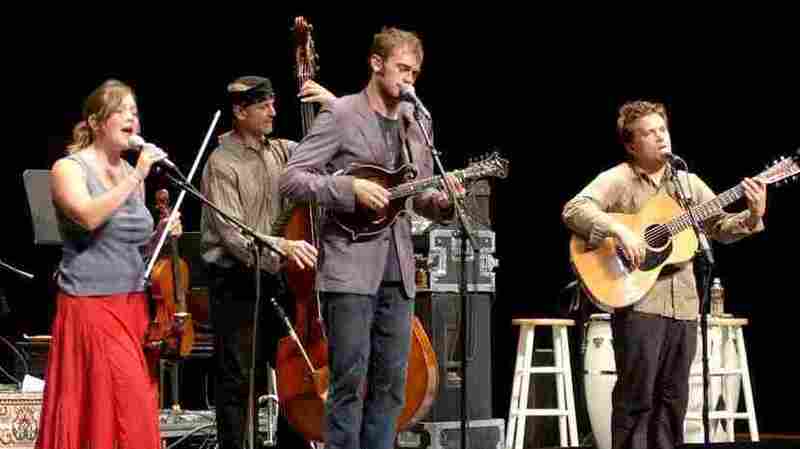 Nickel Creek won a Grammy in 2003 and visited Mountain Stage four times, the last being this performance in June 2005. Since the breakup, each member has continued to perform and return to these environs in various configurations — Sean Watkins with WPA and Fiction Family, Chris Thile with Punch Brothers and alongside Bela Fleck, and Sara Watkins with her own band.